UNRWA strives to maintain a purely humanitarian approach, as evidenced in its rhetoric. Yet its donors are politicizing funds into “strategic interests”. The two-state hypothesis is also incompatible with the Palestinian right of return – the most Palestinians can hope for in such a scenario is a symbolic gesture that will only affect a small percentage of all Palestinian refugees. UNRWA’s mission is to provide access to basic services such as education and healthcare to Palestinian refugees. What, exactly, does the EU mean when it manipulates its aid into a strategic interest? And is UNRWA in a position to refute the organization becoming part of the political meddling decided by the political powers? If the rights of Palestinian refugees are now being diminished further in order to accommodate the EU’s strategic interests related to the two-state imposition, UNRWA’s role is becoming jeopardized, not only by US President Donald Trump’s decision to redefine who qualifies as a Palestinian refugee. 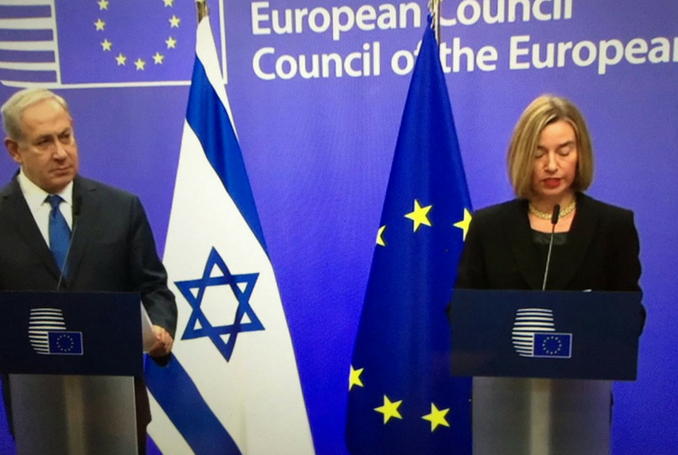 The EU’s role in subverting Palestinian rights is carried out openly and raises less controversy due to the fact that Trump has attracted global derision while the EU is still ensconced within a respectable façade. We are told that the EU’s financial assistance to Palestinians “has a crucial impact” as regards humanitarian assistance. The EU should also be held accountable as to how its agenda is curtailing access to the rights of Palestinian refugees. Humanitarian aid is becoming problematic as the donors’ agenda will not allow the recipients to politicize their situation. Instead, it requires Palestinian refugees to become recipients without a cause, and that goes contrary to Palestinian anti-colonial struggle. Be the first to comment on "Humanitarian Aid and Strategic Interests … for the EU #Palestine #GroupPalestine #israelTerrorists #boycottIsrael"